Oral hygiene is an important issue, after your milk teeth have dropped out and your adult teeth grown into place you only have one set left for the rest of your life! 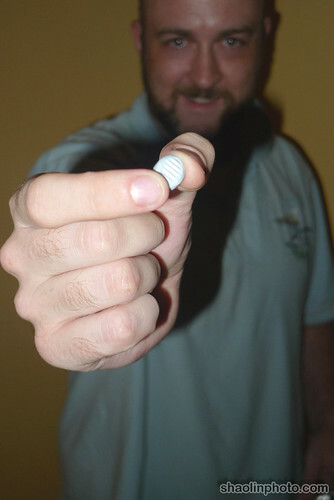 You might remember a while back I had to find a dentist urgently because one of my fillings dropped out. I use an electric toothbrush, floss, a tongue scraper and mouthwash! So I take my teeth fairly seriously. I also (try to) go for regular check-ups at the dentist, although I am a little overdue at the moment. 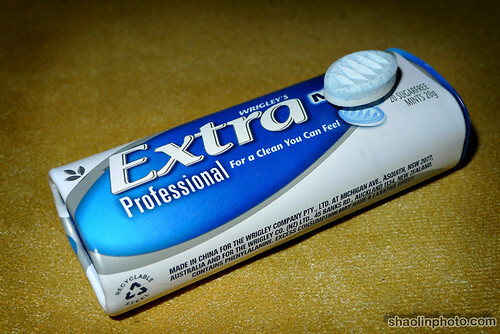 Anyway the point is, Wrigley’s (yes the famous chewing gum folks) have come out with a new range of mints (Wrigley’s Extra Professional Mints) which aims to reduce potentially harmful bacteria in your mouth and give you a noticeably cleaner feeling tongue and mouth. They are sugarfree of course (as must anything be if it’s going to help your teeth) and they come with a ridge design on one side that utilizes microgranules to give you a fresh feeling tongue and mouth. New Extra Professional Mints are available in two flavours — Peppermint and Forest Berries and come in a nice handy tin. 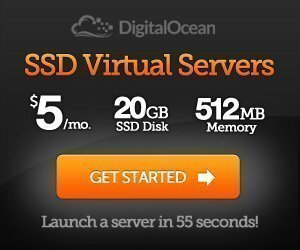 They are also running a contest! 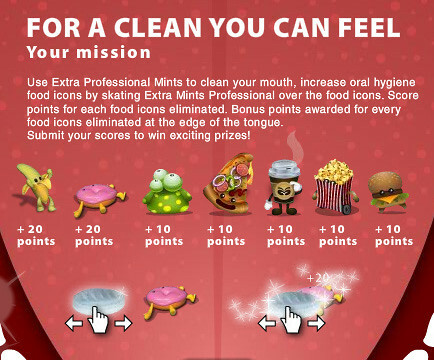 It’s a flash game and you’ll be required to rub/scrape food off the tongue using a mint in order to score points. There is a weekly prize of a Sony Video MP3 Player and the grand prize is a Sony VAIO pocket style PC! So go grab your mints now! ahahhhaha you look so cute with the product endorsement photo! I like the ridges on those mints! Tan Yee Hou: LOLS didn’t know I could look cute! Cheesie: Yah it was like 3am too, fakeplanned! pinkpau: Lulz, go buy la it’s nice actually. 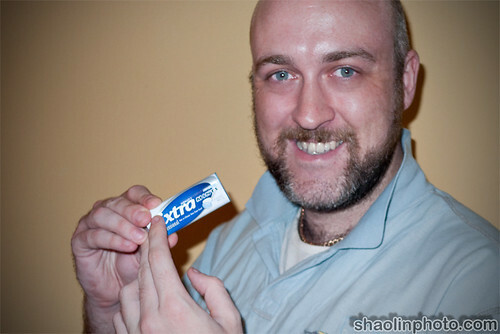 ahloon: Haha maybe can help you in more ways than clean mouth! Mark Leo: Yah actually feels like it’s scraping your tongue. taufulou: Enter la, more things to win! Could be your beard, you remind me of George Clooney in Syriana. jason: Don’t enter than la! KY: Yah it’s actually good. Matthew: Haha yah, maybe cos its going grey.